As many of you saw on the Meserve Reserve Facebook and Instagram pages, a few weeks back I appeared as a guest on the What Should I Read Next? podcast hosted by Anne Bogel. Both during the podcast and through listener comments afterwards I received some excellent book recommendations which I've compiled in this post. One of my and Nicole's favorite podcasts, Ms. Bogel typically spends a third of the hour long show interviewing a guest -- in my case, largely about my and Nicole's recent travels, the next third hearing about three of her guest's favorite books and one disliked book, and the final third providing reading recommendations. I had a lot of fun preparing for and recording the episode and was pleased with how it turned out. Because we taped the podcast well in advance of its release date, I've had plenty of time to read many of the books Ms. Bogel recommended. During the show -- spoiler alert -- I described The Years of Lyndon Johnson series by Robert Caro, the Travis McGee series by John MacDonald, and East of Eden by John Steinbeck as among my favorite books and A Wrinkle In Time by Madeleine L'Engle as a book I did not like. I also stated that I would like to branch out into new reading genres. Thus, many of the recommendations I received centered on those themes. City on Fire by Garth Risk Hallberg: I wanted to like this novel set in 1970's New York City, and gave it a fair shot getting a third of the way through, but at 944 pages the story needed to move a lot faster to hold my attention. I finally had to put it down and move on. Incidentally, I've mentioned this book, which garnered a lot of hype leading up to its 2015 release, to a few independent book store owners and neither expressed much enthusiasm. Turns out I'm not alone. Personal History by Katharine Graham: Excellent! I really enjoyed this memoir written by the former editor and publisher of The Washington Post. I found this book to be a fantastic accompaniment to my recent deep dive into Robert Caro's The Years of Lyndon Johnson series. The Cuckoo’s Calling by Robert Galbraith (J.K. Rowling): Not only did I enjoy this fast-paced private investigator story, I've already read the second installment, The Silkworm, as well. Moreover, as an attorney myself, the story of Rowling's attorney, who couldn't keep his mouth closed about her assumed writing name for this series, and ended up exposing her, is a cautionary tale. My Life in France by Julia Child: Although I haven't got to this book yet, Nicole has been enamored. Needing something to take her back to our time in France, Julia was just the answer. Her life is an inspiration. Station Eleven by Emily St. John Mandel: This one blew me away. One of the best novels I've read in some time. Set in the post-apocalyptic future, it is both a survival story and an examination, looking both forward and back, of how the diverse cast of characters navigate extraordinarily tumultuous times. Full disclosure: Nicole also read this book and, although she enjoyed it, was not as excited. Behold the Dreamers by Imbolo Mbue: On my list. According to Amazon, "A compulsively readable debut novel about marriage, immigration, class, race, and the trapdoors in the American Dream—the unforgettable story of a young Cameroonian couple making a new life in New York just as the Great Recession upends the economy." Dream on! Calypso by David Sedaris: I've always wanted to read something by humorist/essayist Sedaris. Although Ms. Bogel recommended Calypso, his most recent work, recently at the Strand in NYC, I grabbed a used copy of his earlier Me Talk Pretty One Day after a listener commented that the book focuses on Sedaris' move to France. Devil in the White City by Erik Larson: Lately, everyone seems to be recommending this book to me. I'm going to have to break down and give it a shot. Open: An Autobiography by Andre Agassi: One of the best sports memoirs I've ever read. Agassi was made to play tennis, but wasn't made to deal with the outside pressures of being the world's best tennis player. A raw and emotional read, I'd recommend it to anyone, tennis fan or not. Shoe Dog by Phil Knight: I'm usually skeptical of business books. Too often ghost-written, self serving advertisements, this book was different. Knight leads a band of outsiders -- in the right place at the right time -- as they set out to remake the shoe industry. I found it hard to put down. A Year in Provence by Peter Mayle: I read this book way back when along with a few of Mayle's novels such as A Good Year. Great, light reads for a vacation or day at the beach. 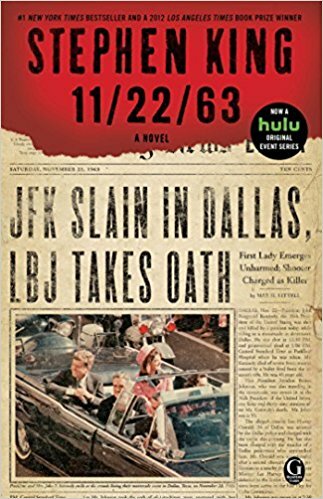 11/22/63 by Stephen King: I haven't read King's portrayal of a time traveler who attempts to stop the John F. Kennedy assassination. Owing to my recent fascination with 1960's era politics and King's mastery as a thriller writer, I'm sure I will enjoy this. The Power Broker: Robert Moses and the Fall of New York by Robert Caro: I just picked up a copy at Little City Books in Hoboken. Caro's only book outside The Years of Lyndon Johnson series, I can't wait. Destiny of the Republic: A Tale of Madness, Medicine and the Murder of a President by Candace Millard: I'd never heard of this book, but I like a good presidential biography. And admittedly I know absolutely nothing about James Garfield. Letters to Jackie: Condolences from a Grieving Nation by Ellen Fitzpatrick: 1960's era politics. I guess I just can't get enough! Looking into this book I learned that, after J.F.K. 's assassination, Jackie received nearly 1.5 million letters of consolation. They largely went untouched. The book's author selects 250 of these letters that paint a picture of the nation's mood at the time. There are lots of other books examining this period of history that I'd likely read first, but the format of this book could be an interesting change of pace. A Gentleman in Moscow by Amor Towles: Beyond the listener comment, a friend of mine who holds a masters degree in Cold War history recently recommended this book. It seems intriguing. Cutting for Stone by Abraham Verghese: Something of an outlier compared to the other recommendations, Amazon describes this novel as, "An enthralling family saga of Africa and America, doctors and patients, exile and home." Seems like the type of book I would have to be in the right mood to read. The Cadfael Chronicles by Edith Mary Pargeter (Ellis Peters) (Book #1 -- A Morbid Taste for Bones): I am a big fan of the Travis McGee thrillers. The lead character in these mysteries, set in the 12th century, couldn't be different -- a Benedictine monk who occasionally helps out local law enforcement. I'd never heard of these books but they look great. Lonesome Dove by Larry McMurtry: One of the best! If you haven't read anything by Larry McMurty, you should! I just finished the Thalia series -- Horseman, Pass By; Leaving Cheyenne; The Last Picture Show -- all solid westerns. But Lonesome Dove, which I read years ago and have on my list to read again, is the book by which all other westerns should be judged. Night by Elie Wiesel: A modern classic by a Holocaust survivor. I for sure will need to be in the right mindset to tackle this one. 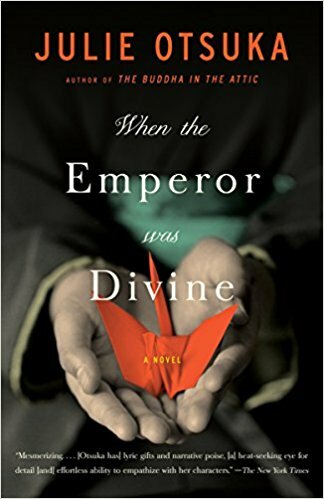 When the Emperor was Divine by Julie Otsuka: During the podcast, I mentioned historical fiction as a genre I would like to explore. This book follows a fictional Japanese family sent to an internment camp during World War II. Another difficult subject but one I am interested to explore. The Pillars of the Earth by Ken Follet: A classic of historical fiction, I had actually read this book, set in 12th century England, years ago and am currently reading Follet's Fall of Giants. Great, fast paced (although lengthy) reads. New York 2140 by Kim Stanley Robinson: When you tell people you've spent years living in New York, they seem to love recommending books set in the city! I haven't read much in the science fiction realm so this could be interesting.